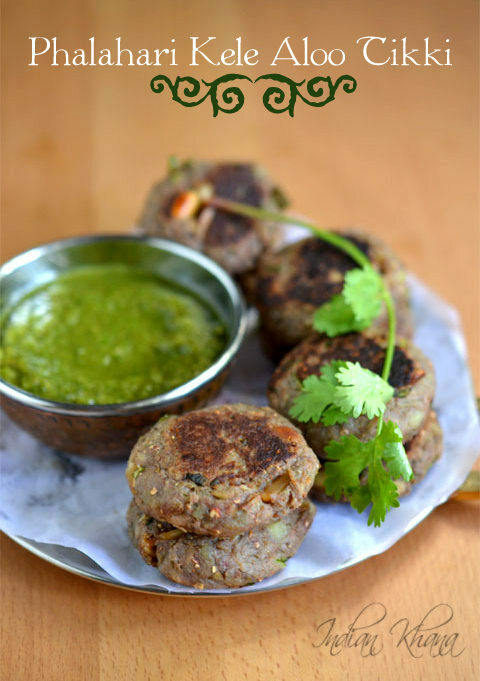 Kaccha Kela Aloo Tikki or Phalahari Tikki or Kachcha kele ki tikki (cutlet) is healthy snack or starter during Navratri fasting (vrat/upwas) or as tea time snack, breakfast and today we going to learn how to make these easy and yummy kele aloo tikki. Not only during fasting or vrat but we can make any time these tikkis. 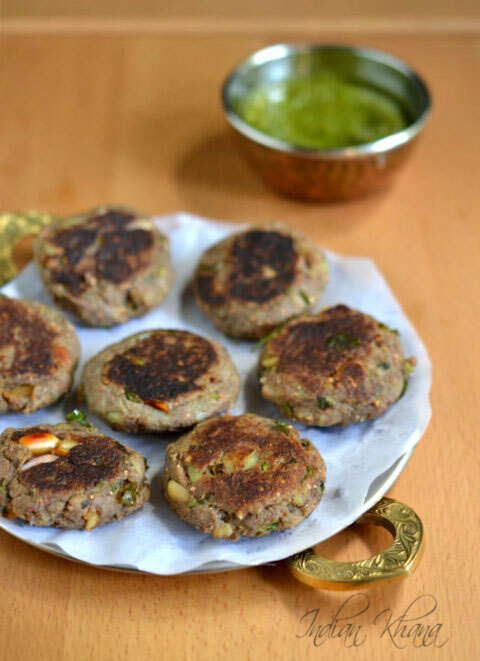 You can try this same recipe to make only as kele ki tikki or as aloo tikki or any other tikki(cutlet) for that matters. I like tikki very much but it hardly makes it to blog and I end up most of the times only with step wise pictures which happened with me again last month :( and what that tikkis was I will tell you when I manage to post that so for today we going to concentrate to learn this easy, flavorful plantain potato cutlet or tikki. 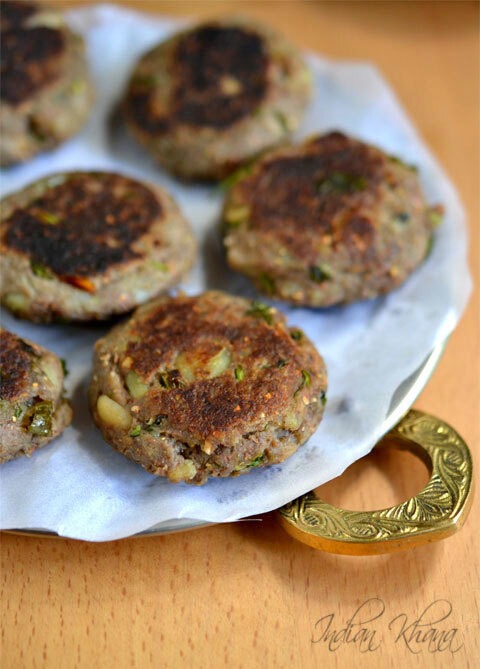 I made this tikkis last weekend as evening snack along with tea, this tikkis are mild in taste, has crunch from peanuts & pomegranate seeds and raisins adds sweet and tangy taste to this wonderful tikki. Bites of peanuts and raisins really makes this tikki very interesting so try not to skip that but if you won't like to have raisins then you can ignore it. 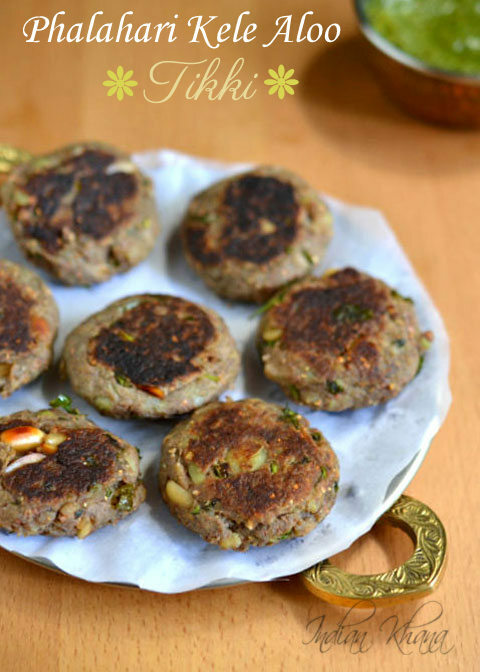 You can also make this tikki during party or get-together just do the prep work before make the tikkis and store them in fridge you can do this a day before too and shallow fry or deep fry if making in large batch just before serving. During fasting serve along phalahari hari chutney, sweet chutney and tomato sauce if you take that and when if not fasting then serve along sauce, green chutney or any chutney of your choice. You can also check other Navratri fating (Vrat/Upwas) recipes here. Phalahari Kaccha Kela Aloo Tikki is easy, flavorful cutlet made with plantain, potato and spices suitable for fasting (vrat/upwas) snack. Boil plantain and potato until cooked or for 2 whistles, peel and mash, powder coarsely pomegranate seeds and keep aside. Finely chop green chilies and coriander leaves. Add sendha namak, pomegranate seeds powder, roasted cumin powder, green chili, coriander leaves and halved peanuts to mashed plantain and potato, mix everything to combine well and make smooth dough. Divide prepared dough in equal portions. Roll one portion in to smooth ball and flatten it, keep 3-4 raisins in middle. Gather edges of tikkis from all sides roll into ball again and flatten to make tikki (cutlet), repeat same for rest. Heat oil in a pan or tawa and place tikkis, don't over crowd pan and keep some distance. Cook until both sides golden brown 4-5 minutes each side in slow to medium flame. Serve hot/warm/cold or at room temperature. You can add 1 tsp chat masala if you take chat masala while fasting. If you don't have dried pomegranate seeds then you can skip that. 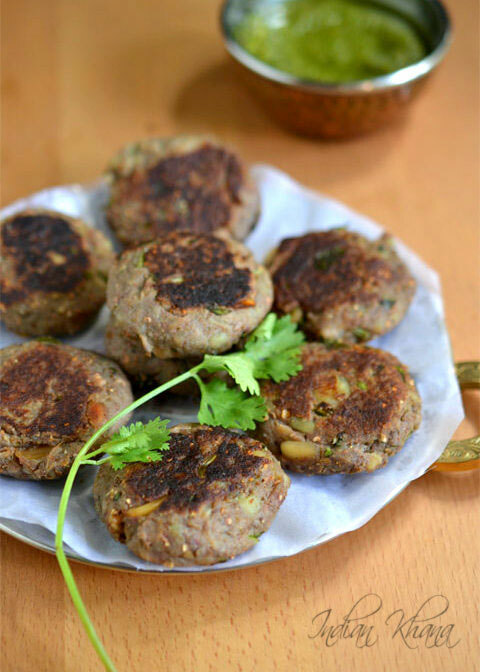 If not making this tikki/cutlet while fasting add normal salt instead of sendha namak or add black salt (kala namak). You can also add 1 tsp roasted fennel seeds powder. 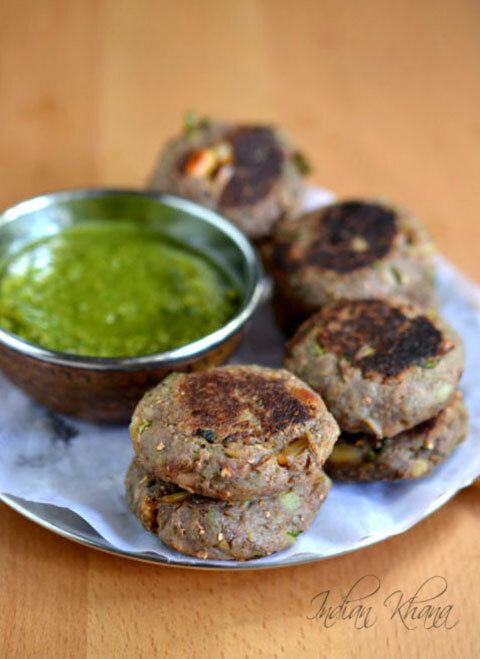 Healthy, delicious tikki to make fasting as feast or enjoy during tea time.